WOOLWICH, New Jersey -- Authorities have charged construction contractor Norman Long for the beating death of his wife, who was found dead in the swimming pool of her New Jersey home. 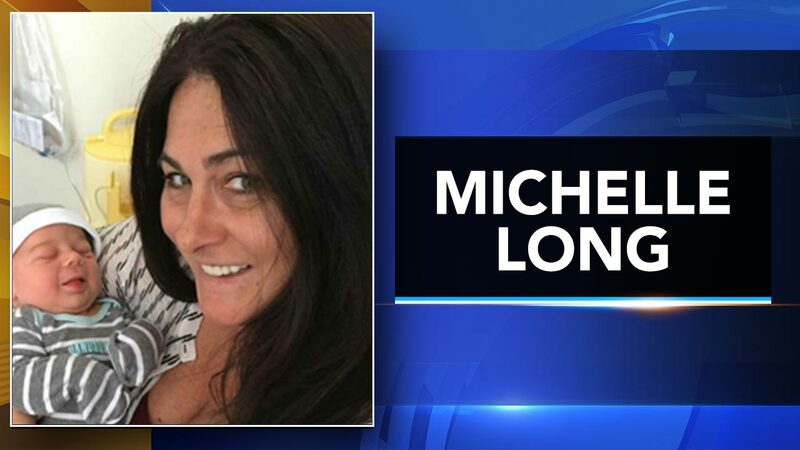 Gloucester County prosecutors say 47-year-old Michelle Long's body was found Saturday, June 17, at her residence in Woolwich. An autopsy determined that she died from blunt force trauma. On Tuesday, Norman Long, 51, was arrested and is now charged with murder. Death of NJ woman found beaten in her pool is ruled a homicide. Sarah Bloomquist reports during Action News at 5 p.m. on June 21, 2017. The prosecutor's office says their investigation has determined that Long killed his wife inside their home, then placed her fully-clothed body in the backyard swimming pool. Investigators say Long then drove to a local restaurant, and upon his return pretended to discover her body in the pool, and advised first responders that she drowned. Construction contractor Norman long arrested in Gloucester county, n.j, for the mid-June murder of his wife. In the arrest complaint investigators say they found a myriad of evidence pointing to the husband, such as the victim's blood found on paper towels in household receptacles. In fact, Norman Long was the one and only suspect from the day of the murder, the prosecutor said. On that day neighbors and police say Long was behaving wildly and talking of suicide. In addition to first degree murder, Long is charged with concealing evidence and obstruction of the administration of law as a result of his conduct. Brittany Macguire, Michelle Long's daughter, spoke at a press conference on Wednesday about her mother. Daughter of Michelle Long speaks after arrest is announced in her mother's murder. "My mom was definitely the best mom you could ever ask for. She did not deserve this at all. We are broken without her. We're just trying to keep it together," Macguire said. The prosecutor says Norman Long, owner of Long Construction out of Bensalem, Bucks County, is now undergoing psychiatric evaluation in Trenton. When that is completed he will be put in jail.